I kid a little, but here I am writing part 2 of “Smörgåsboat: The tasty testing buffet installed on Gizmo for 2017” months later, and after already beginning the testing voyage south. At least I can report that two somewhat creaky 70-year-olds were able to make the 546 nm trip to Annapolis in a little over five days at a reasonably comfortable 8 knot pace without significant problems, and that modern electronics were a major help (even if my able mate kept grumbling about TMI). 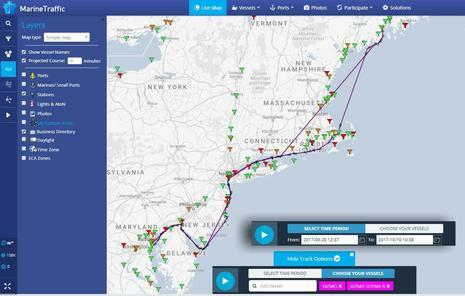 The Marine Traffic screenshot above shows Gizmo’s rough track from Camden to a friendly dock on the Magothy River, as well as intermittent tracks for the unusual Em-Trak B400 SOTDMA Class B AIS I’ve been testing. If you go to Gizmo’s MT page, you should be able to see my current position and recent track, but you won’t see the features (and lack of ads) above because I’ve earned an MT Pro membership by maintaining a volunteer listening station in Camden. The MT subscription offer is a terrific carrot — I especially enjoy the notifications I can set up for boats of interest — but just one reason you might consider setting up your own coastal station, particularly easy to do with the Digital Antenna AISNet I’m testing, or similar. The Lars Thrane LT-1000 NRU (Navigation Reference Unit) has been installed on Gizmo’s port spreader since late last fall, but first I tried it handheld in the main cabin. Even in that environment the multi-sensor seemed to produce smooth and accurate Heading as well as all the other data seen on the Simrad NSS screen above. Once fully installed and automatically calibrated for deviation — as described when I first heard of this new company (with roots) — the Heading has been as solid as what I’ve seen from satellite compasses, and all the other data seems spot-on, too. 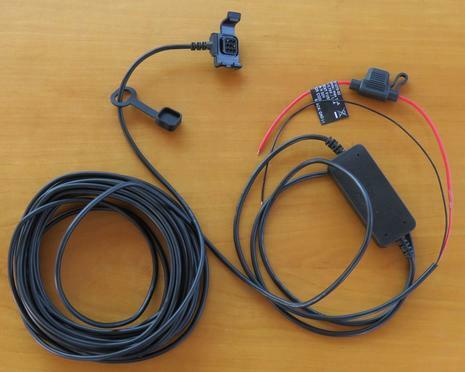 What I haven’t tried yet is the LT-1000’s NMEA 0183 output, which can also be used with a PC program to configure the sensors (not that it needs any tweaking in my circumstances). I’m also impressed with Thrane’s LT-500 AHRS, a unique Heading (plus) sensor for having display and configuration onboard, but I have at least one MFD that misinterprets its Magnetic Heading output. 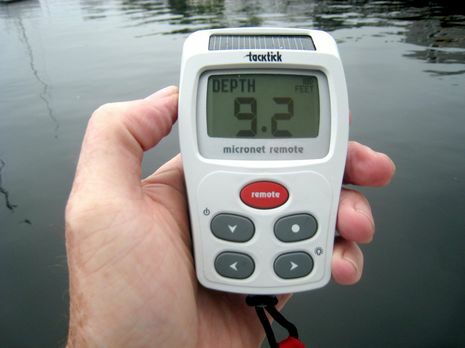 While I’ve seen similar issues over NMEA 2000 before — where an MFD seems to apply Variation in the wrong direction, or twice, or not at all — I hesitate to name names until I’ve spent more time troubleshooting. Note that Lars Thrane recently introduced a pro level Iridium phone, data and tracking system that appears to maximize the performance and usability of that slow but reliable global communications service. 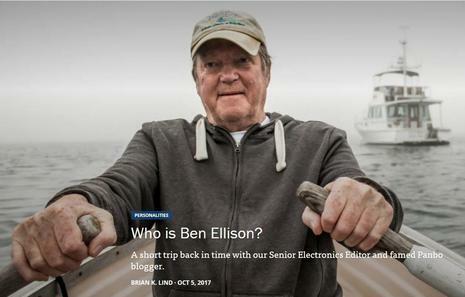 Now visible on Gizmo’s port masthead is an LCJ Capteurs CV7-V ultrasonic wind sensor, and I must say that as much as I appreciate NMEA 2000 data networking, the “hybrid” system you see above makes a lot of sense for a masthead device. 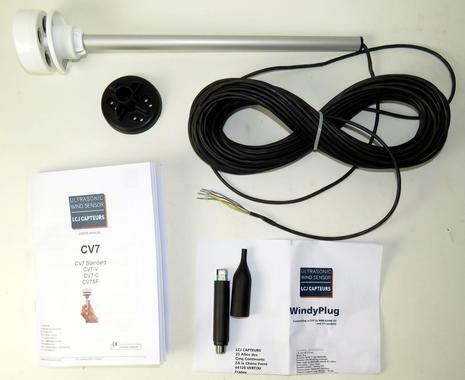 The included 25-meter cable is only 0.22mm thick, and 20 grams per meter light, because it only contains four wires, two for 12v power and two for NMEA 0183 output, whereas a N2K cable used for the same purpose has to be much beefier because it’s networking much more data — but to the masthead, where it’s not needed — and must be set up as terminated backbone at any length over 6 meters. In this case, I easily snaked the skinny cable down the mast before attaching the LCJ WindyPlug, which bridges the 0183 wind data to 2000 and nicely adds barometric pressure info to boot. It works fine with all the MFDs and N2K instrument displays aboard, the results pleasantly correspond to the Airmar PB200 being long tested and also the Garmin gWind Wireless 2, and the total cost is $799. LCJ Capteurs offers many CV7 variations as seen at Fugawi, their North American distributor. I’m working on screenshot comparisons of these wind sensors (and how well the data can be presented these days), but in the meantime consider the notion that wind sensors are a special case where straight NMEA 2000 may not be the best solution. 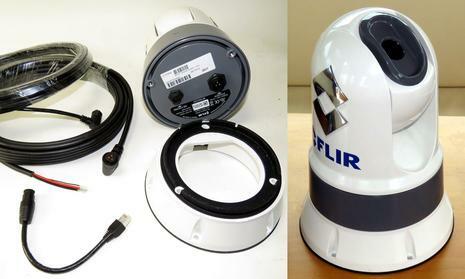 The FLIR M200 series camera was somewhat overshadowed when introduced along with Raymarine Axiom last February, but it’s certainly a giant step toward FLIR’s goal of making a true thermal navigation cam possible on many boats. 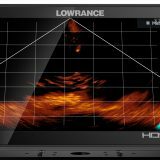 No, it does not have the range and resolution of the amazing M618CS camera I tested, but it does have all the same MFD integration features at about one-tenth the cost. The M232 was also easier to install with just two cables, 12v power and Ethernet, and it was nice to find that the included riser fit the Edson Vision 6-inch mount and 7-inch plate I’d already installed for the bigger M618. Of course, having camera control and video streaming all on Ethernet also makes the M232 much easier to setup for two helm stations (or multiple displays at the same station). So I’ve been glad to have the thermal view available both on the flybridge Raymarine ES128 and on the pilothouse Axiom 7, though I can only have one or the other turned on until LightHouse 3 for the ES is available (in November, they say). Both interfaces are powerful, but Axiom LH3 offers some nice extras besides ClearCruise, like the ability to turn on the cam heater that can help with lens fogging and to take the videos I hope to share soon. I’ve yet to get a good sense of the M232’s effective range — FLIR claims about 1,500 feet for a person in the water and about 0.7 nm for a small vessel — but it’s certainly good at spotting nearby lobster buoys (even in daylight), it easily locks onto mysterious radar targets, it made transiting the C&D Canal at night against tug and barge traffic a lot more relaxed, and on a recent windy night it immensely improved my situational awareness in a crowded Solomons Island anchorage. I was also happy to finally have a proper anchor light that night, but the Marinebeam Smart LED masthead fixture above is much more than that. Using just a pair of 12v power wires, it can be an anchor light, a tricolor running light, or a SOS distress strobe. Simply switching the fixture on gets you anchor mode (which can be left on because it also has photovoltaic switching), switching on-off-on gets the tricolor, and waiting about 6 seconds for another off-on activates the strobe mode. 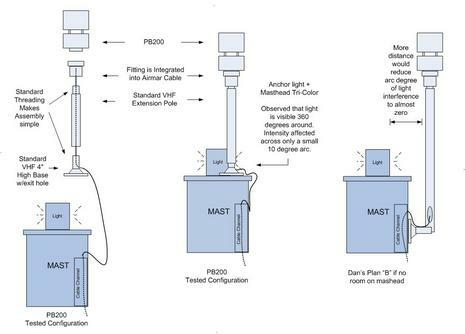 I’ve had a little trouble getting the strobe timing right, but it sure is bright and effective at the masthead, and Marinebeam is working on a simple panel light accessory that will indicate what mode the masthead fixture is in. 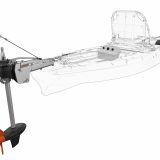 You’ll see that the three-in-one’s various modes meet specifications for boats up to 20 meters, the amperage draw is minimal, and the value seems excellent, even if you have a powerboat that would not normally show a tri-color, I think. 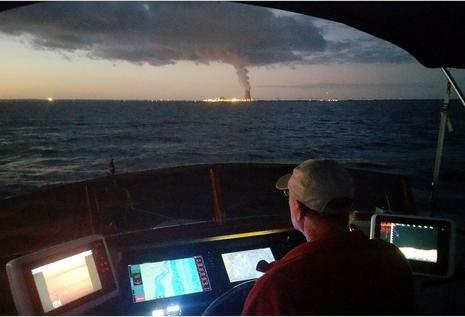 Backup nav lights are a good thing, even if you have some regular Marinebeam fixtures like Gizmo does (always on underway). Also onboard is Marinebeam’s 2nd gen Ultra Long Range Flashlight, which seems to perform very much like the super tight original I so appreciate except that it’s significantly smaller. Finally, check out this new Marinebeam 3W LED touch dimming reading light, which performed beautifully in my bench testing. 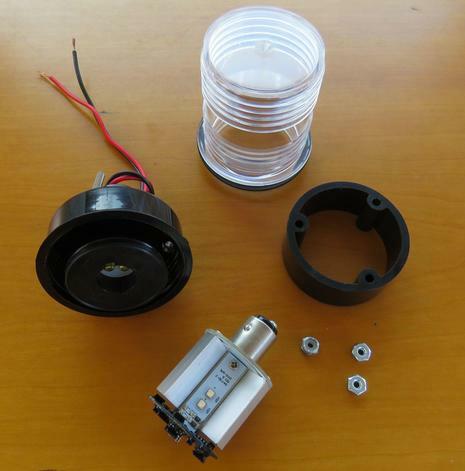 Why just use LED replacement bulbs when you can really improve your boat’s lighting so easily? 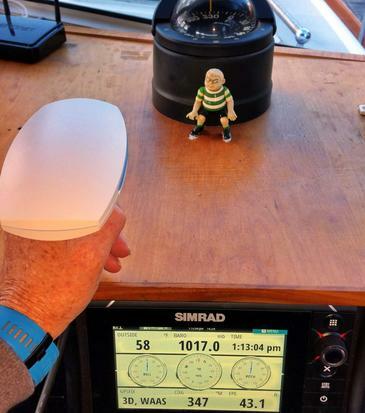 Still on Gizmo’s starboard spreader is the high power Coastal Marine WiFi device that is still serving well since first reviewed here in 2015. 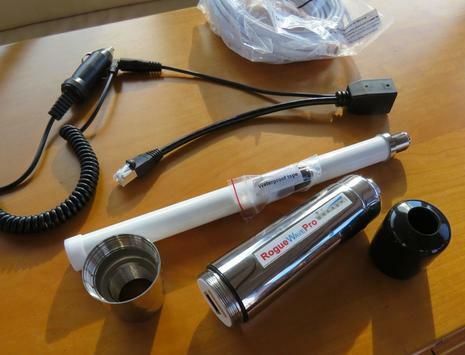 In fact, it’s been improved with app and firmware updates, and CMW now also offers an alternate Pepwave SOTG router with app support for switching the boat’s Internet source easily between shore WiFi access points and a USB cellular modem (well explained here). But now alongside the CMW is a new Wave WiFi Rogue Pro Dual-Band system. It’s the first time Gizmo has had the ability to connect with 5Ghz WiFi access points on shore, though I must admit that I was a little leery because the higher frequency naturally has less range than “traditional” 2.4Ghz WiFi. But there are other factors! The 5Ghz band has more channels, so there should be less contention in WiFi busy marinas and harbors, even if lots of boats could use 5Ghz, which is not yet true. And with Wave WiFi’s new and fairly easy browser interface — the company makes its own WiFi radios now, so they’re not quite like other Rogue Waves I’ve tested — I can see lots of 5Ghz access points in harbors I’ve visited. In fact, there was a cruising/working day this summer when I could not get a stable CMW 2.4Ghz connection even to the marina where I was paying for it, but then I found another marina on Rogue DB 5Ghz that worked just fine. However, that happy experience happened in a place without the Verizon cell service I’m using right now while anchored in Solomon’s Island, Maryland, even though I can see over 50 WiFi hotspots, about 20 of them at 5Ghz. I can’t get on any of them without local knowledge, and I’m not too worried about it (yet). Improved 4G coverage and more generous “unlimited” data plans may be competing more with companies like Wave WiFi and CMW than they are with each other, though note that there’s always an asterisk on “unlimited” and I will be hunting for open hotspots down the Bay. I was a little discouraged about the power cable when I realized it would not easily fish up or down the mast given the waterproof VIRB connector at one end and the 12v-to-5v (USB) converter at the other, but it spliced back together easily, and I remain a little surprised at any boat with current Garmin displays that hasn’t added at least one VIRB to the system. And for more extreme video fun, I understand that the new VIRB 360 will eventually get MFD integration. 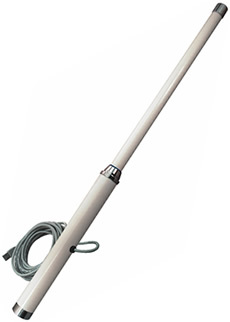 Last, but not least, is the Glomex Glomeasy RA300 FM antenna the crew is pleased to have aboard, partially seen above along with a handsome 1″-14 Adaptor Ferrule. Though I wrote about the slick Glomeasy cable and connector design in May, I still coiled the cable for easy spinning while I threaded the antenna into the adaptor. 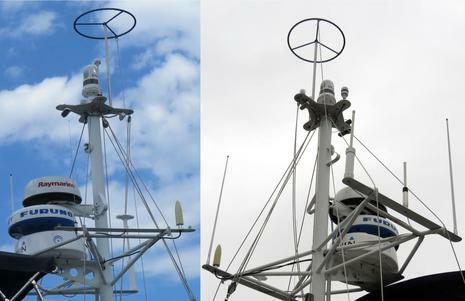 But I didn’t have to use that old trick — blame it on habit or a stiff rotating FME connector — and if the need arises, I should be able to remove the antenna without twisting or messing with the cable that’s now fished down the mast. Truly slick. 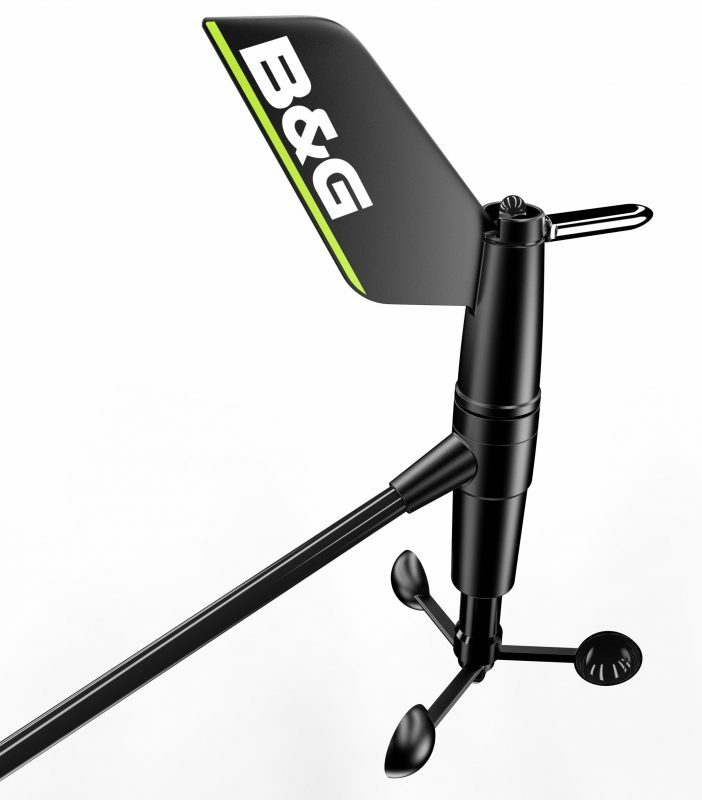 Maybe better yet is the antenna performance, at least in my experience. I’ve not had a dedicated marine FM antenna before, instead using a VHF antenna with the Vesper Splitter or the temporary (and funky) car antenna install some readers spotted here. So while I don’t have much basis for comparison, I can tell you that I’m now listening to a fine jazz show with a clear signal coming 42 miles across the Chesapeake Bay (according to the NPR Station Finder app), and I’m also getting good public radio signals from DC at 52 miles and elsewhere. I can’t remember if we were listening to radio as we motored by Delaware Bay’s major landmark at dusk, but we did note good reception in the few places we stopped (full inReach track here). I got pushback about all the “bright” (looking) screens when I posted this photo on Facebook, but the critics weren’t there to see how well we could see outside the boat, or how useful thermal vision, multi-format chart plotting, Doppler radar, and forward-looking sonar were to two coots who’d been running since dawn. That’s my power guy friend Alden Cole at the helm, and it’s hard to overstate how fortunate I was about that. Not only is he a deeply-experienced mariner, but Gizmo came down with mysterious electrical problems shortly before departure. Alden led much of troubleshooting and improvements have been made, but the mystery is not yet fully solved. That’s my partial excuse for being quiet recently, besides the “becoming a bumbling old boat guy…” thing. RadioLabs USB Marine WiFi, the one? 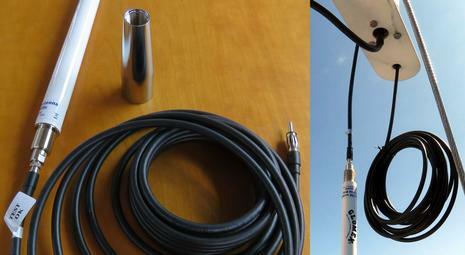 Does it look like the VirbX 12v power cable is water proof enough for a Virb mounted on the bow rail of a sailboat? This is a really wet environment but what a great view of the deck while on a boisterous sail. You are right, I should have had one of these added to my 7612 a long time ago. Thanks, Richard. I suspect that you’d blow the (nice) blade fuse on the VIRB power cable if you lowered the attached camera into solid water, but it may well take any other wet abuse. The VIRB X/XE is supposed to be good to 50 meters deep, and you can sort of see in my photo that the power cable uses two serious and well separated contacts. 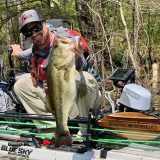 Do you realize that the VIRB can collect wind, heading, boat speed etc from your 7612, and it’s fairly easy to overlay that data on your edited videos using Garmin free software?